The City of Worthington is strategically planning for future development, redevelopment and enhancements to the Wilson Bridge Road Corridor, one of the City's primary economic centers. Over the past several years, a steering committee made up of area residents, business owners, community groups and City leaders has engaged in a variety of initiatives aimed at identifying a plan for the corridor. The resulting Wilson Bridge Road Corridor Study recommends the need to promote the redevelopment of the Wilson Bridge Road Corridor into a mixed use area that will generate new economic growth within the City. These recommendations are intended to foster development that strengthens land use and economic value; encourages a mix of uses; enhances livability of the area; augments pedestrian and bicycle connections; and promotes construction of high-quality buildings and public spaces that create and sustain long-term economic vitality. Learn more about the Wilson Bridge Corridor Project here. The building at 350 West Wilson Bridge Road was originally developed as part of the Officescape development on the north side of West Wilson Bridge Road, which also includes properties at 400, 450 and 500 West Wilson Bridge Road. This building, constructed in 1976, was home to notable companies such as Mettler Toledo and Corecomm. The property had been vacant for many years before the City worked with the new property owner to redevelop the site into almost 60,000 square feet of Class A office space. 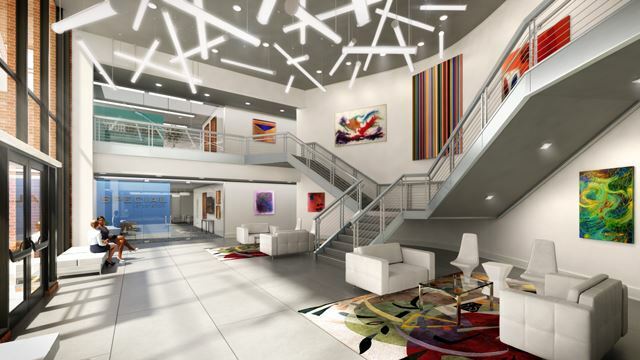 The building is now home to prominent businesses such as Central Ohio Urology Group, Orthopedic Foot & Ankle Center, WheelsUp, and Complete Health Dentistry of? Columbus. 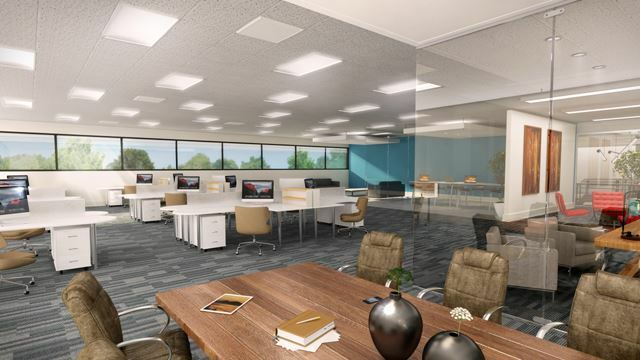 After decades of occupancy, Anthem Blue Cross Blue Shield intends to relocate from their existing 200,000+ square foot property at 6740 N. High Street in Worthington, to a much smaller footprint within the City of Columbus. While efforts made by City of Worthington leaders to retain Anthem were ultimately unsuccessful, we are excited to partner with the new owners, Lawyers Development Corporation, to redevelop the property. The expected improvements will create a significant opportunity to increase the number of quality jobs within the Worthington community. Since 2010, Lawyers Development Corporation has acquired and successfully updated some of Columbus’s largest commercial buildings that were in a state of transition similar to the Anthem building in Worthington. These properties include the former NiSource headquarters at 1600 Dublin Road in Marble Cliff, the LeVeque Tower in downtown Columbus, the former Columbia Gas headquarters at 200 Civic Center, and the former Bicentennial Building at 250 Civic Center. The City of Worthington is excited to work with Lawyers Development Corporation to redevelop this signature property. The City is working with the owners of the former Holiday Inn site to redevelop the property into a full mixed-used development. 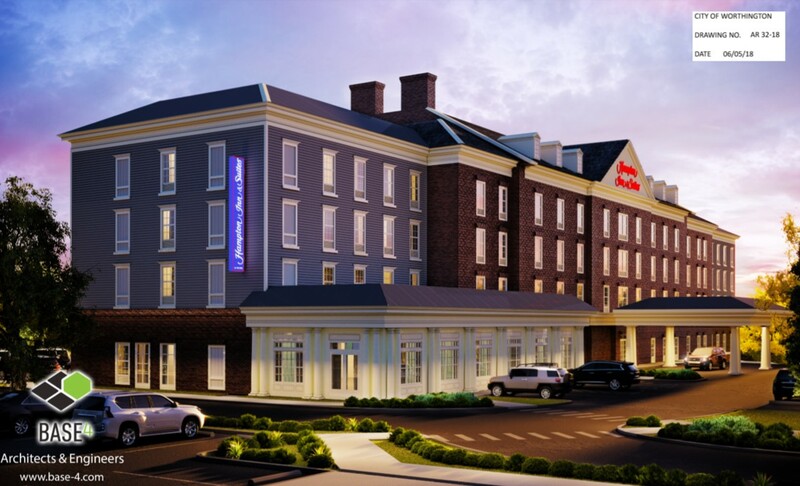 The new project, named the Worthington Gateway, will feature a brand new 4-story Hampton Inn & Suites hotel, as well as 30,000 square feet of retail and restaurant space and 18,000 square feet of Class A office space. Construction is expected to begin in the Fall of 2019. More information can be found here!